Last year I was nominated for the Ned Muis Dikati award by mArt Radio. 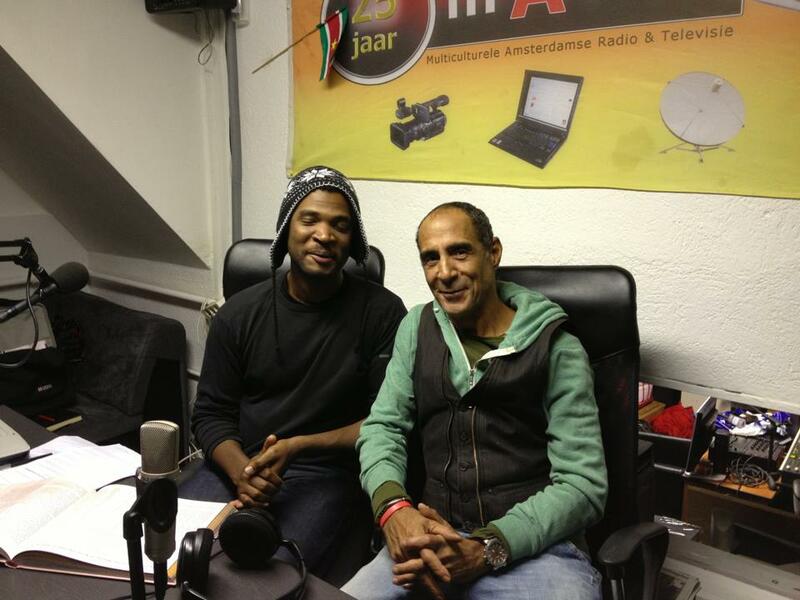 mArt stands for Multicultural Amsterdam Radio and Television and is a public access radio station that was established 30 year ago. The director Norman van Gom approached me after the awards ceremony and said that if I ever wanted to do something on the radio I should contact him. It took me seven months but then I came up with what I wanted to do but after a conversation with Stefania Azarella I came up with the idea: a talk radio program about Dutch society from the perspective that multiculturalism was a given and not a problem. Topics would range from everyday news to worldly themes. With guests and live musical guests. I contacted mister Van Gom and he said let’s run with it. He gave me a time slot and also told me that i needed to have a catchy title. That proved tricky and took awhile to develop. But it was during a conversation with Markus Balkenhol that the title appeared: Roet In Het Eten. In Dutch there’s saying called ‘roet in het eten gooien’, which basically means an unforseen disruption of normalcy. It was with that the show took on an identity. It isn’t normal that some topics were talked about and others. It isn’t normal that some voices are heard and other ignored. The show attempts to bring back into the fold what I and the people who assembled around me to further develop and flesh out the platform, which it has now been transformed into, find normal. With the initial intention of being a once a month show, the response after our first show on the 4th of september with guests mister van Gom, radio legend Roy Ristie and Erasmus University lecturer Zihni Özdil, made us turn it into a bi-weekly show. Last show we had 66 year old grandmother Susan Sinester, who had written a letter to the radio station addressed to me, on the show to sing a self composed protest song against Zwarte Piet. The team consists of Flavia Dzodan, Hodan Warsame, Merhawi Dessie, Trevor Leslie, Ruud Tevreden and Mieke Weismann. Right now we’re looking at plans for next year.